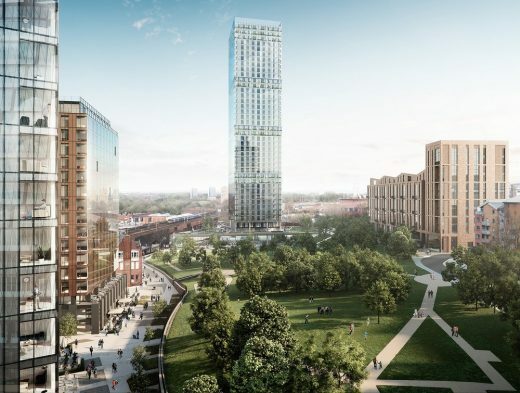 Far East Consortium (FEC) International Limited has revealed the designs for its first project in Manchester – Angel Meadow. The scheme is a £200 million residential development comprising 754 homes across four buildings bordering Angel Meadow Park. 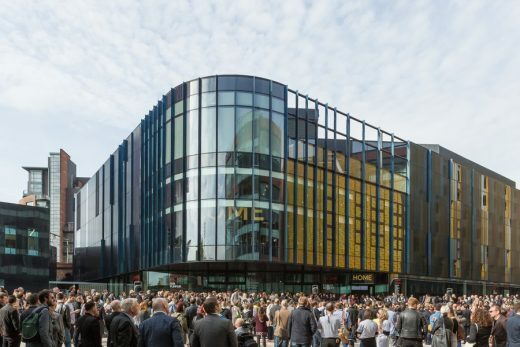 It forms part of the city centre’s NOMA neighbourhood, which is extending the city centre northwards with a mix of commercial and residential space. 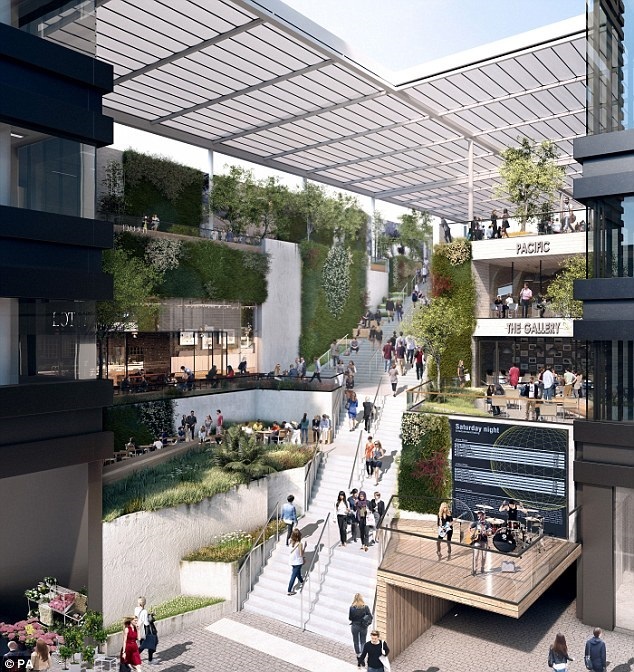 Gavin Taylor, regional general manager, FEC said: “Angel Meadow provides an unrivalled opportunity to create an international calibre neighbourhood within NOMA in the heart of the City. 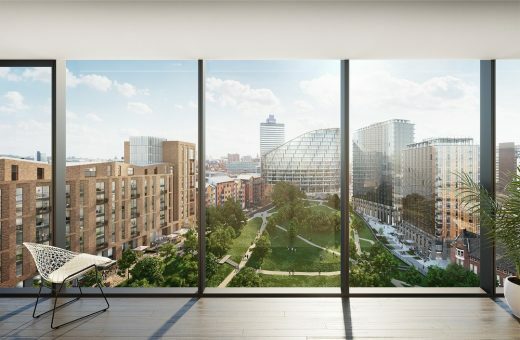 It’s a privilege to work on such an exciting site for our first development in Manchester. The four plots around Angel Meadow Park are on Gould Street, Aspin Lane and Old Mount Street. •	Two roads – Aspin Street and Old Mount Street, will be closed, in part, to cars. 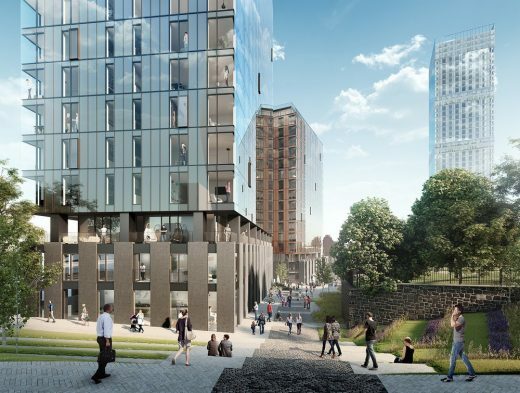 On Aspin Street, the two proposed 22 and 17 storey apartment buildings, will have active ground floor uses bringing Aspin Lane back to life and mending this connection with the City. •	There will be five, three-bedroom townhouses on the ground floor building on Old Mount Street with 131 apartments above. There will be a new route through the building, which is part nine and part 12 storeys, for residents from neighbouring buildings into the Park. Jon Matthews, 5plus Architects said: “It is clear from our early engagement with the local community that Angel Meadow Park is much cherished amenity and by developing new homes around it, we hope to see the area thrive. Angel Meadow is just a five minute walk from Victoria Station for mainline rail and Metrolink services. 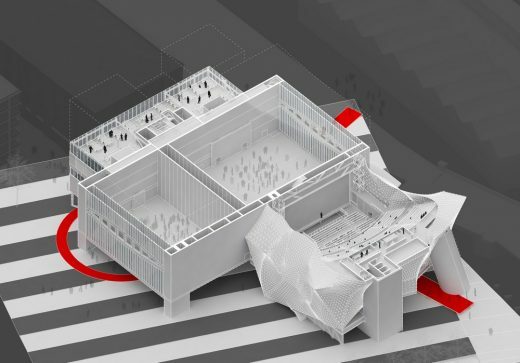 It sits on the edge of the rapidly developing NOMA neighbourhood and is very close to the vibrant Northern Quarter with its many highly successful independent bars, restaurants and music venues. The designs for Angel Meadow are out for public consultation until 7 April 2017 and in addition to being available online there will be two public exhibitions of plans. The formal planning application is expected to be made to Manchester City Council by end of April. Subject to planning, building work is expected to begin by the end of the year with the first homes complete in 2019. It is expected the apartments will be mix of tenure with the emphasis being made on long term occupancy. FEC has built a diverse and widely acclaimed property portfolio of quality residences in Australia, Mainland China, Hong Kong, Malaysia, Singapore and the United Kingdom, which has demonstrated its ability to develop, build and launch multiple large scale mixed-use developments. FEC was listed on the Hong Kong stock exchange in 1972 (HKEx stock code: 35). The Group is mainly engaged in property development and investment, hotel operation and management, as well as car park and management facilities. The Group adopts diversified regional strategy and the “Chinese Wallet” strategy with business covering Hong Kong, Mainland China, Australia, Malaysia, Singapore, the United Kingdom and New Zealand. 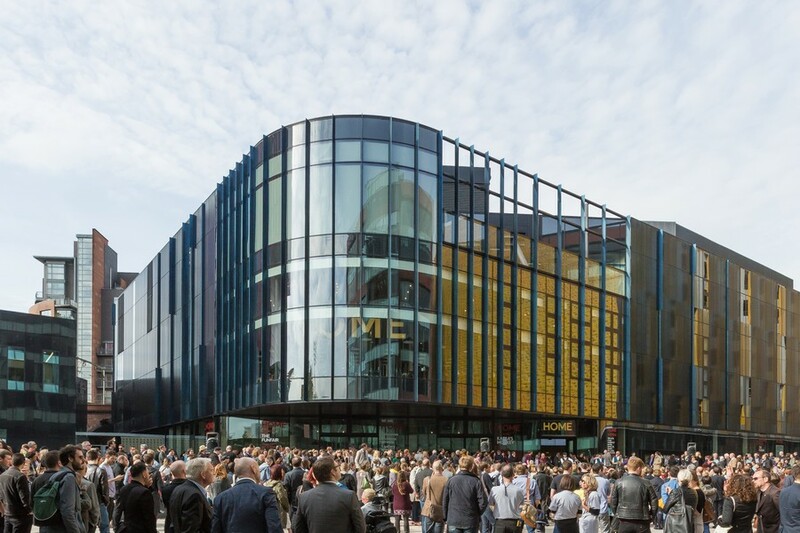 NOMA is a 20 acre neighbourhood in Manchester city centre developing new homes, offices, hotels, retail and leisure space around vibrant urban spaces and public realm. NOMA is being delivered by the joint venture partnership of The Co-op and Hermes Investment Management. The Angel Meadow residential development has been brought forward by The Co-op in collaboration with Manchester Place. Manchester Place is a unique partnership between Manchester City Council and the Homes and Communities Agency formed in 2014 to work with landowners and developers to enable and speed the supply of high quality housing of all tenure across the city.